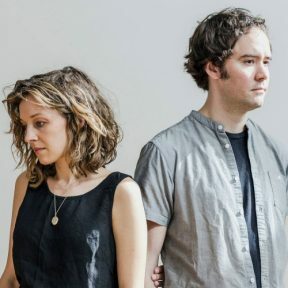 Mandolin Orange’s music radiates a mysterious warmth —their songs feel like whispered secrets, one hand cupped to your ear. The North Carolina duo have built a steady and growing fanbase with this kind of intimacy, and on “Tides of A Teardrop,” due out February 1, it is more potent than ever. By all accounts, it is the duo’s fullest, richest, and most personal effort. You can hear the air between them—the taut space of shared understanding, as palpable as a magnetic field, that makes their music sound like two halves of an endlessly completing thought. Singer-songwriter Andrew Marlin and multi-instrumentalist Emily Frantz have honed this lamp glow intimacy for years.